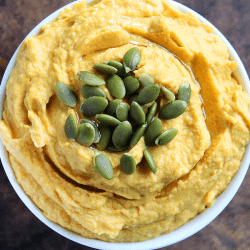 This Pumpkin Hummus is made with a little bit of garlic, cumin, paprika, and of course, pumpkin. It goes wonderfully with our Homemade Pita Chips and tastes delicious! I’m a little bit of a hummus noob. I have bought it a couple times and wasn’t too impressed. 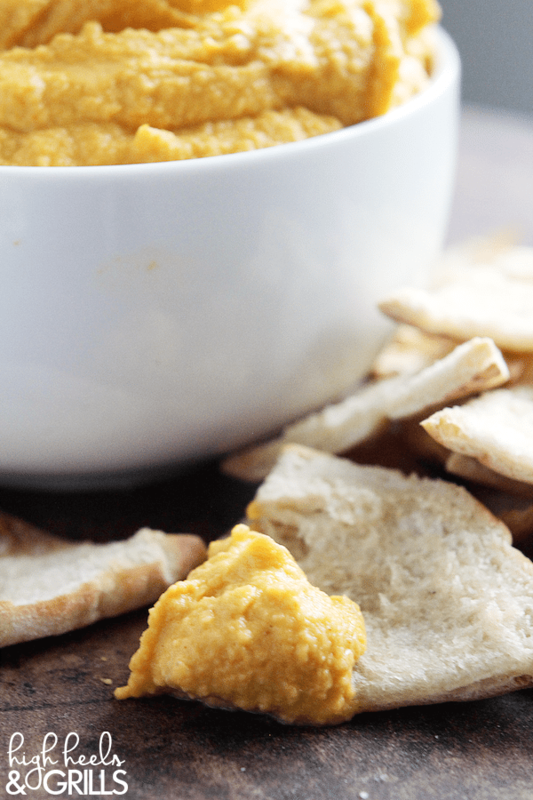 Then I made it for the first time with this Roasted Garlic Parmesan Hummus and totally loved it! So did Addi, so that was exciting. 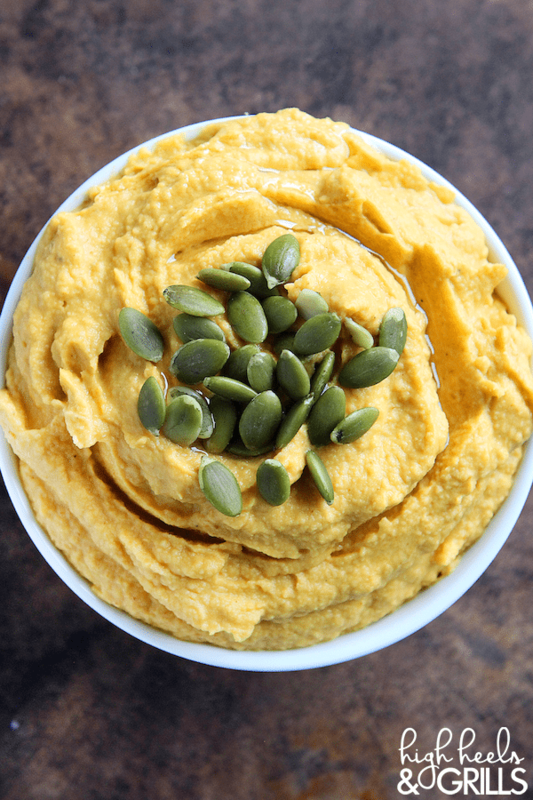 THEN, I made this Pumpkin Hummus and now I’m a hummus diehard and I’m never looking back. At least when it comes to this hummus. 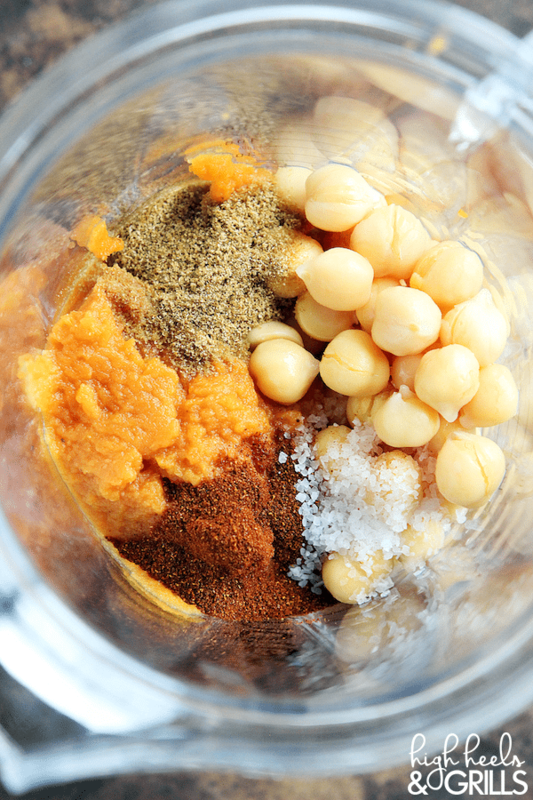 I make this Pumpkin Hummus in my Blendtec, so it’s creamy and delicious, but I’m sure other blenders or food processors would work well, too. I feel like these photos don’t even show off how creamy it is. It looks a little lumpy, but don’t be fooled. It’s smoother than a baby’s bottom. We eat it with our homemade pita chips and it’s hard to control ourselves when we pair the two. You can also enjoy it with tortilla chips or veggies. Either way, it’s a delicious recipe when you’re in the snacky mood and it makes life cozy with the pumpkin in it! 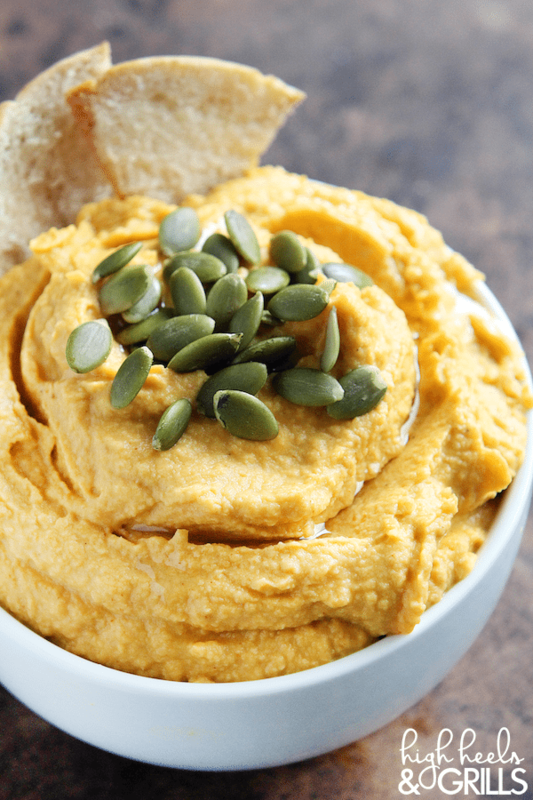 The pumpkin hummus looks delicious!